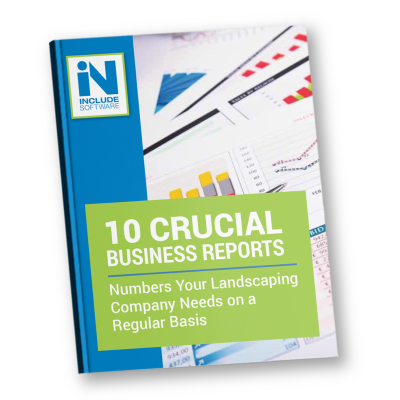 iKPI shows your team exactly what they need to help make your landscape company a success. Whether they are in sales, operations, administration, or at the executive level, this customized dashboard drives effective, data-based decisions company-wide. Each iKPI subscription comes with a set of dashboards. Within each dashboard, iKPI offers a customizable, flexible interface to visualize charts and graphs to suit your specific needs. iKPI is an additional product offered to users of Asset software. iKPI was created exclusively for the busy landscape professional. We understand that you want detailed information no matter where you are. Whether you're on vacation keeping an eye on your company, or out working in the field, iKPI puts smart, real-time data at your fingertips. Check on cash flow, see how your crews are performing, and analyze financials without being chained to your desk. Look at financial information in easy-to-view graphs and charts. Easily see bank balances, outstanding receivables, and expenses to make day-to-day operating decisions with confidence. Whether you're one of the team or managing account managers and landscape designers, iKPI's analytic tools help you to easily track your prospects and forecast future results. Keeping an eye on your crews' productivity has never been easier. 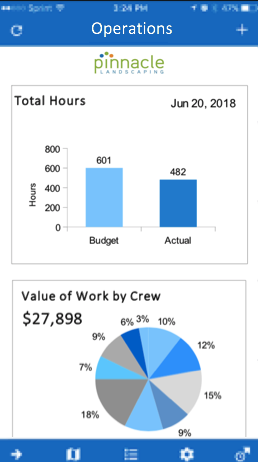 Evaluate hours vs. budget, crew efficiency, and know where each division is performing based on budget. To improve your company's future and simplify your life, iKPI will help you easily understand which projects are making you the most money and which areas of your company are underperforming. 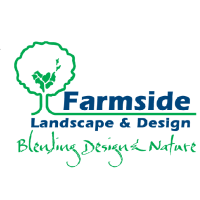 Too many landscape businesses make crucial decisions based on gut feelings. This can often lead landscaping companies down a path of inaccurate guesses that result in failures. Having the right information delivered daily is a powerful way to take charge of your company's future. If you aren't sure what information your team should be reviewing on a regular basis, this resource will be very helpful.